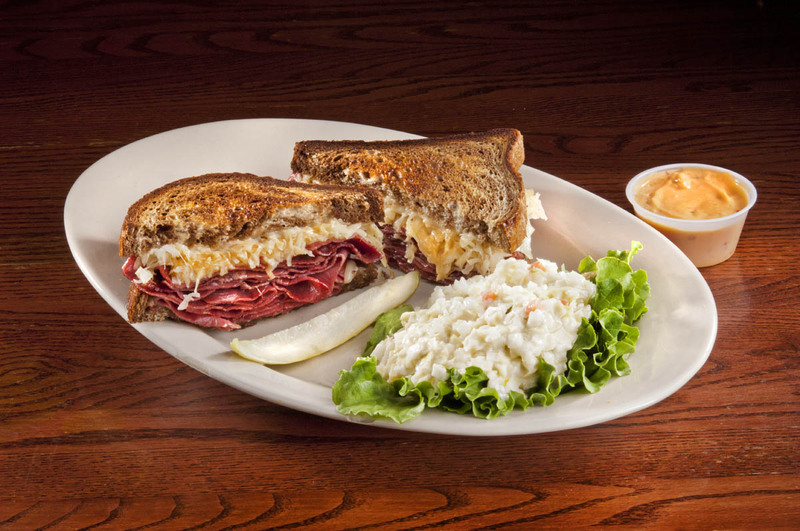 All of our made to order sandwiches are served with your choice of french fries, potato chips, coleslaw or cottage cheese.Upgrade to onion rings or tater tots for 75¢. 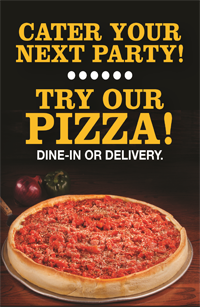 Add cheese for $1.00. Add sweet or hot peppers to any sandwich 75¢. A mountain of Italian beef stuffed in a french roll. Add peppers or cheese for extra flavor. A huge link of our homemade seasoned sausage fills a french roll and is covered in our homemade marinara sauce. Get the best of both sandwiches in one. 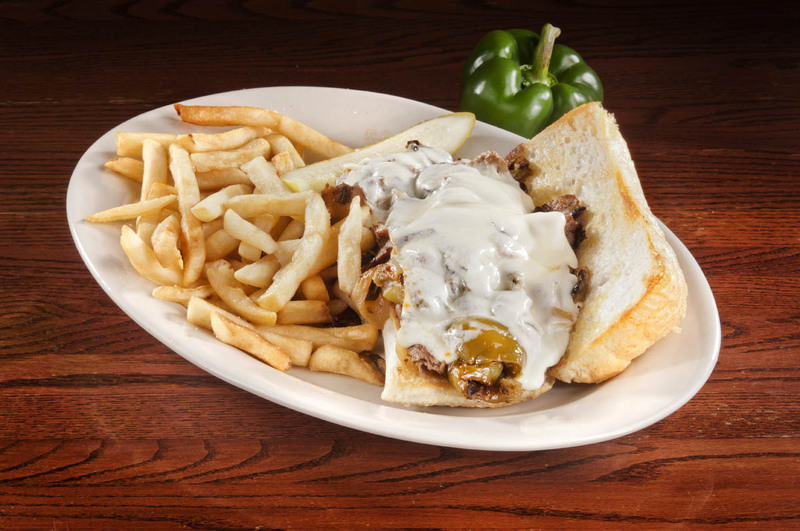 Our homemade link sausage is covered with a generous portion of Italian beef. Sure to satisfy any appetite. 3 of our homemade meatballs tucked into a french roll then covered with our own marinara sauce. 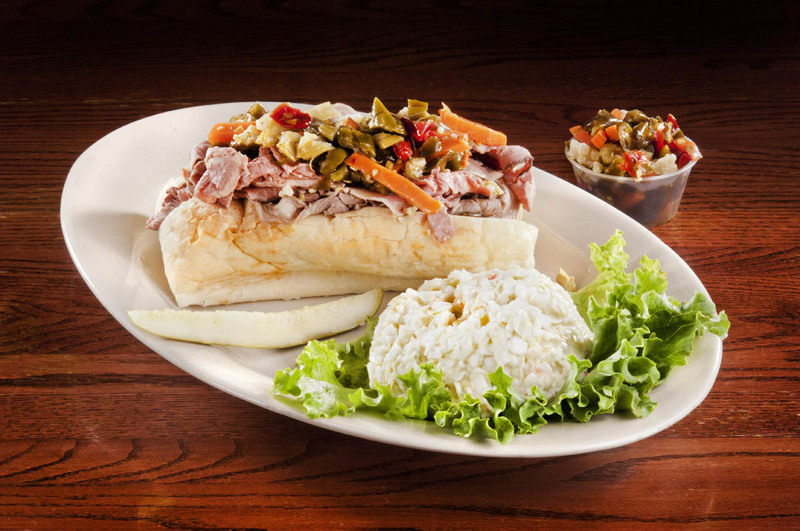 A mountain of Italian beef is covered with “The Boss of the Sauce” Sweet Baby Ray’s for the BBQ lovers. into smaller pieces, we smother it with Sweet Baby Ray’s and pile it high on a gourmet bun. We slowly cook the pot roast in our secret blend of seasoning for hours. 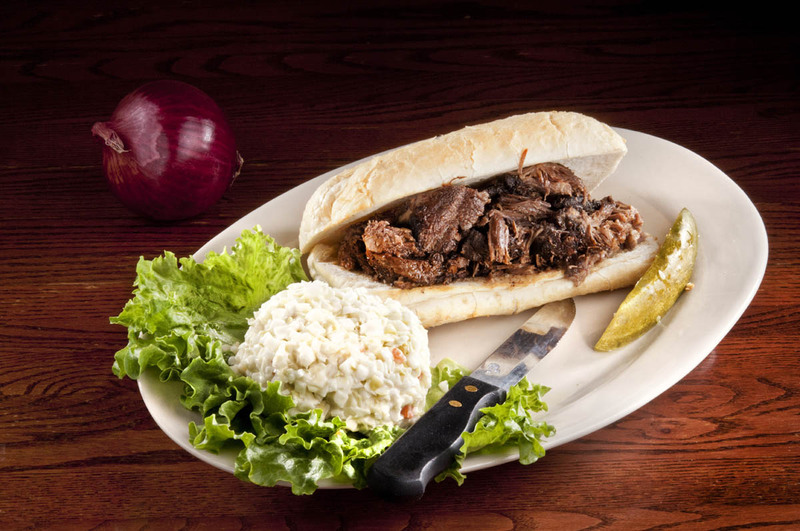 Then we pile the pot roast on french bread. Add cheese, sweet or hot peppers for extra flavor! A double layer of fresh sliced ham, smoked turkey, smoked bacon, Iceberg lettuce, tomato and mayo to complete this tower of a sandwich served on toasted white bread. A very generous portion of smoked bacon, Iceberg lettuce, tomato and mayo. Light but very tasty. Served on toasted white bread. Grab a jumbo all beef hot dog while watching a game on the big screen. Loaded with mustard, onion, relish, tomato, cucumber, pickle and sport peppers. Spice things up a little. Start with salami, capicola and pepperoni before topping off your sub with Iceberg lettuce, tomato, onion, pepperoncinis, provolone cheese and Italian dressing. Heat up salami, capicola and pepperoni before topping off your sub with green peppers, diced tomatoes, hot giardiniera and onions. Provolone cheese is melted on top. with thousand island dressing. Served on marble rye bread. A delicious combination of smoked turkey, ham and swiss cheese layered on lightly battered white bread. Freshly sliced hickory smoked turkey is piled high before adding Iceberg lettuce, tomato, onion and mayo. Made fresh daily, our own homemade tuna salad is piled high on a gourmet bun for a healthy choice. Thinly sliced steak cooked to perfection with mushrooms, onions and green peppers topped with mozzarella cheese. Served on a french roll. Large cutlets of eggplant are lightly breaded and fried to a golden brown. Provolone cheese is melted over the top before adding our homemade marinara sauce. Served on a gourmet bun. 3 jumbo eggs are scrambled and blended with our own sweet peppers. Served on a french roll. A traditional favorite. Fillet of breaded cod fried to a golden brown then served with tartar sauce. Served on a gourmet bun. Grilled steak with sautéed mushrooms, onions and covered with provolone cheese. Served on garlic french bread. A mountain of homemade tuna salad is topped off with melted American cheese. Served on toasted white bread.